Grand manager of “Yamaharu” in Tsukiji is introduced today. He has been working in Tsukiji for 35 years. Therefore, the judge concerning the fish is correct. Of course, he knows the matter concerning the fish of in season. Therefore, the menu is consulted about to Chef who is the customer. 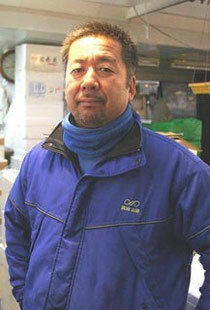 Please ask grand manager's JIN regarding the delicious fish when you visit Yamaharu in Tsukiji. "I want to eat a good fish" The place where it is suitable is Tsukiji. A fresh fish with good freshness can choose at any time. Because Yamaharu is abundant the kind of the fish that handles it, the fish not found in other shops can find it in Yamaharu.